Police officers were approaching the car on foot when the suspects backed the vehicle toward them. The officers shot at the car, which sped away. Seattle police have located the car that officers fired on in the Eastlake neighborhood Sunday night, after they say the driver backed the vehicle suddenly toward them. 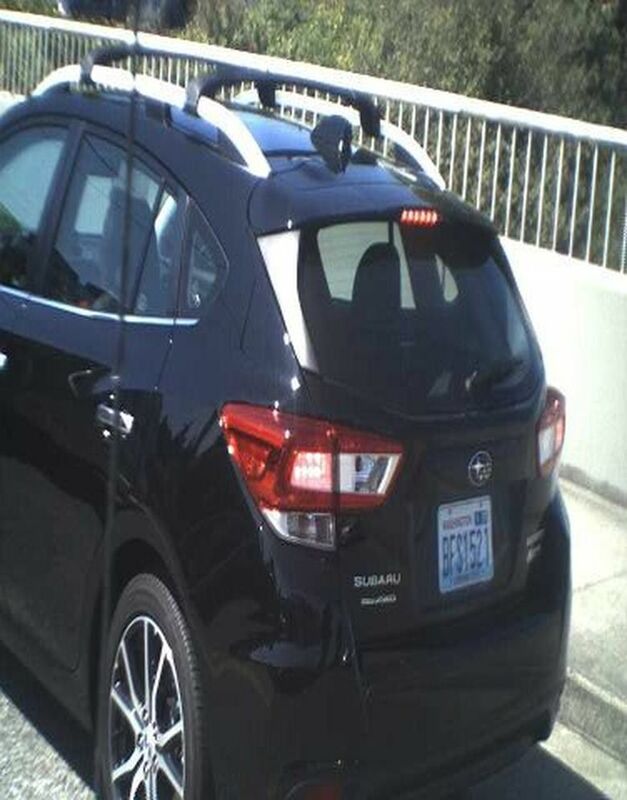 Police tweeted Monday afternoon that the black Subaru Impreza was recovered in North Seattle. No other details were immediately released. 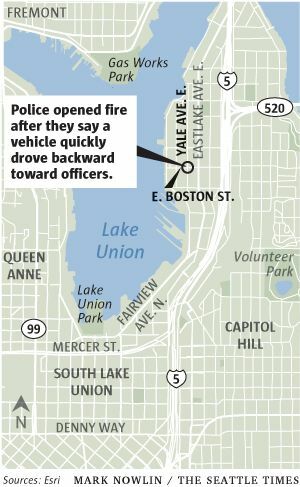 At around 9 p.m. Sunday, police responded to a report of a “suspicious vehicle” in the 2200 block of Yale Avenue East, possibly with a driver or passenger holding a weapon, said Seattle Police Detective Patrick Michaud, who briefed reporters at the scene. Police officers were approaching the car on foot when “the suspects backed the vehicle toward the officers very quickly,” Michaud said. The officers shot at the car, which sped away. No officers were injured, Michaud said Sunday night. He said he did not know yet whether the suspects had fired at the officers. Kelli Nelson, who lives in an apartment nearby, said she heard 15 to 20 shots. “I thought it was fireworks,” she said. 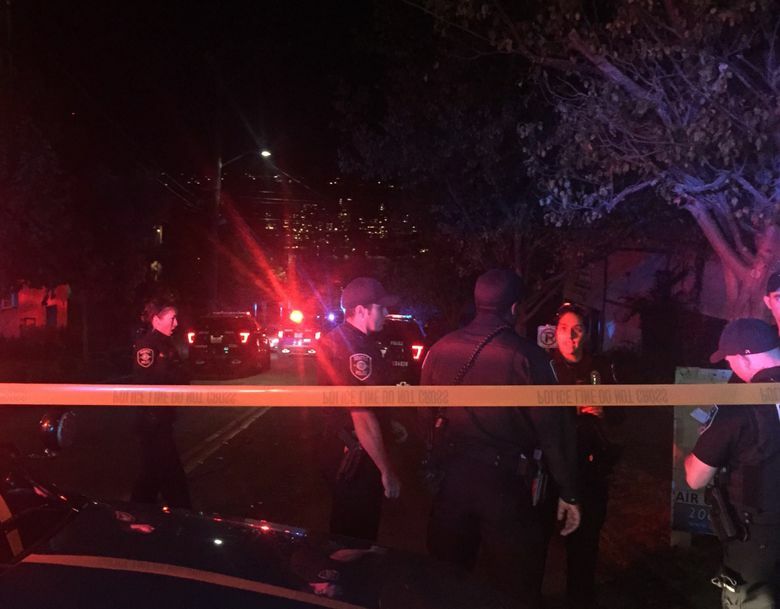 Another man, who didn’t want to give his name, said he heard a “pop pop pop pop” and walked out on his third-floor deck, only to hear a barrage of additional gunfire. He dropped to the floor of his deck and said he saw a vehicle zoom past. Gesturing toward a nearby bar, he said he felt like it was a good time for a shot of a whiskey.